When we lived in Edinburgh, we paid our local Tesco supermarket weekly visits. So, I can easily imagine how surprised I’d feel if I chanced upon one of the mystery poems that Metro UK recently shared. 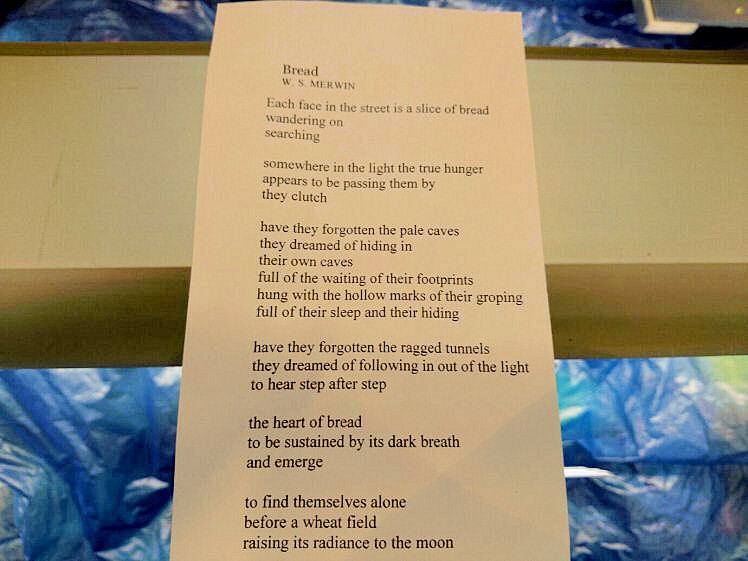 Elsewhere in the store, at the butcher’s aisle atop a piece of venison for sale, another poem appeared. 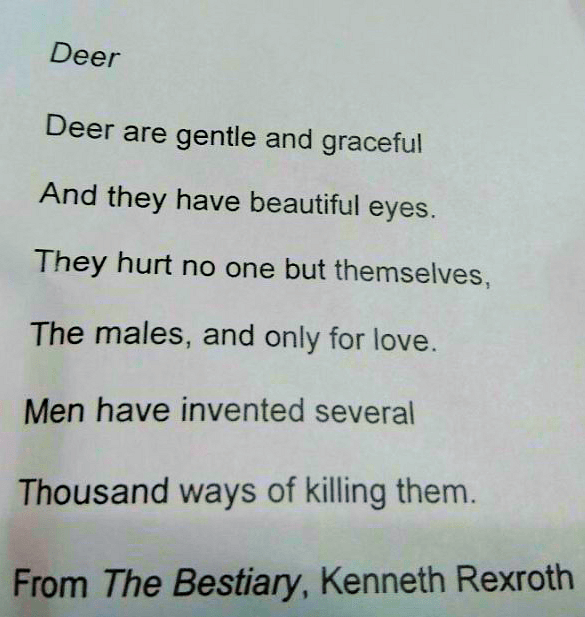 This one was entitled “Deer” and came from “A Bestiary,” by Kenneth Rexroth, as the note helpfully explained. The Cannon Park store is located close to the University of Warwick campus and some have speculated that students could be behind the messages. Still, one can’t help but wonder what a police might do with them: would a salt and buttering charge stick? Must have been like discovering a gem with the groceries! Someone had fun writing these creative poems. Hear, hear. Gives one ideas, doesn’t it? I doubt social commentary would attract the attention of the local authorities. However, after your pun… you might be on a wanted list somewhere. I shall be complaining to the manager, forthwith. You really should, Pete. It’s a disgrace, is what it is.